Currently 16, and returning to the world of Go, came back as a 12k.... unexplained improvement after a huge vacation (February 2007-August 8, then from August 12 until November 11, with one game played September. His chances of turning pro have diminished significantly. From 2006: Makube no Go(15kyu KGS) is a 14 year old kid from Northern California. He began playing Go on November 23, 2006. He took a month break of playing Go from December(23k) to February(Remained 23k). Staying at 23k, he tries to make up for the lost time. His comments are usually crap, so feel free to call him crap. 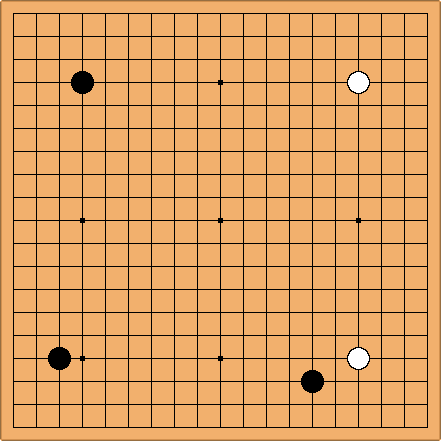 MakubeNoGo's name is based on the GetBackers Anime character "MakubeX"
He has never touched a real Go Board. He lives in San Francisco, CA.